Augeo Family Estate Red Blend Reserve 2015 is a blend between 50% Cabernet Sauvignon, 35% Merlot and 15% Melnik 55. The grapes were grown biologically in the villages of Kapatovo and Kromidovo, near Melnik in the Struma Valley in vineyards at a little over 200 meters above sea level, and were picked by hand. 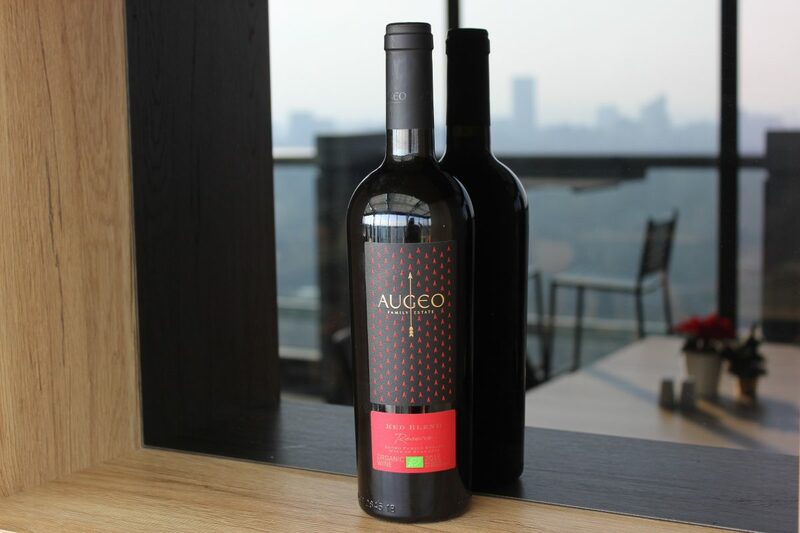 The Bio wine Augeo Family Estate Red Blend Reserve 2015 has color with medium intensity and has rich aroma associations – dried tomatoes, forest herbs, wax, moss and cinnamon. The taste is amalgam and harmonic, and the velvety soft finish is completed with hints of leather, dark chocolate and wax. The later bottling in November 2018 was done on purpose so the wine could reach the wanted great development in aromas and tastes, with intensely rich aromatic perceptions. The series is limited to 1829 bottles.